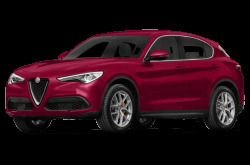 Alfa Romeo is an Italian automaker under the FIAT umbrella. It makes a full return to the United States after a long absence. 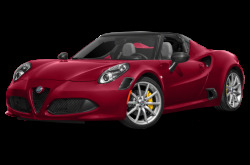 This year, three exciting models are being offered: the Giulia, 4C, and 4C Spider. 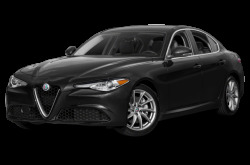 The all-new, compact Giulia sports sedan is powered by a standard 276-hp, turbocharged 2.0-liter 4-cylinder engine mated to a 6-speed manual transmission or an 8-speed automatic. 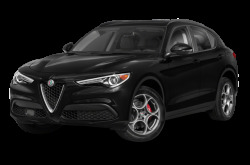 Powering the high-performance Quadrifoglio version is a 505-hp, twin-turbocharged 2.9-liter V-6 paired with a 6-speed manual. Rear-wheel drive is standard, while all-wheel drive is optional. 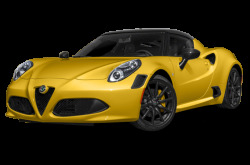 The 4C coupe and 4C Spider convertible are lightweight sport cars that seat two. Their exterior shells are made from lightweight carbon fiber. They are powered by a standard 237-hp, turbocharged 1.7-liter 4-cylinder mated to a 6-speed dual-clutch automatic.